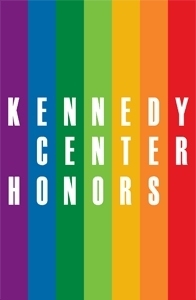 The Kennedy Center Honors offered its usual mix of celebrity surprises Sunday night during a star-studded performance that featured soaring soul music and Hollywood schmaltz, before ending with an old-fashioned rock-and-roll jam. The 37th annual event - hosted by comedian Stephen Colbert - honored singer Al Green, actor Tom Hanks, ballerina Patricia McBride, comedian/actress Lily Tomlin and pop star Sting. This year's celebration was infused with a shot of youth, thanks to appearances by such singers as Lady Gaga, Jennifer Hudson and Usher. As is tradition, the artists sat with the president and first lady and watched the evening unfold. But that and other traditions could change. Producer George Stevens Jr., who has been at the event's helm since 1978, told the audience that this will be his last event - after Kennedy Center officials told him they wanted to reinvigorate the show. "We accept that this will be our last Honors, and it is," Stevens said after thanking his son Michael, who has been his co-producer for 10 years. "This is our goodnight." Colbert kicked off the ceremony with a few polite digs, but he played a minor role in the proceedings. "Tonight, Washington puts the arts above politics because no matter what party you belong to, everybody wants a selfie with Tom Hanks," Colbert told the well-heeled crowd. In addition to an endless parade of CBS stars - not unexpected, since the program will air on that network Dec. 30 at 9 p.m. - the gala performance included several former honorees returning to pay it forward, or perhaps to pay back the colleagues who had previously lauded them. Steven Spielberg paid homage to Hanks, for example, who did the same when the "Saving Private Ryan" director was honored in 2006. The black-tie event, which raised more than $6 million, began with a musical salute to soul legend Green. Earth Wind & Fire turned in an energetic "I Can't Get Next to You," Hudson performed a smoldering "Simply Beautiful" and Usher got the crowd on its feet for "Let's Stay Together." But veteran singers Mavis Staples and Sam Moore stole the spotlight with a joyfully raucous "Take Me to the River," backed by the younger artists and a giant choir. Broadway and TV star Christine Baranski gushed with admiration as she introduced McBride, a prima ballerina with the New York City Ballet who danced with Edward Villella, Jacques D'Amboise and Mikhail Baryshnikov. "She was the muse of two of the 20th century's greatest choreographers, George Balanchine and Jerome Robbins," Baranski said. "All of these names are Kennedy Center honorees. Tonight, at long last, she joins their company." Two of today's leading ballerinas, Tiler Peck and Misty Copeland, performed works choreographed by Balanchine that McBride made famous. Members of the Charlotte Ballet - the North Carolina company McBride has led since 1996 - appeared to join them in a spirited romp through George Gershwin's "I Got Rhythm," another Balanchine classic. McBride beamed. Tomlin's accomplishments were touted in the evening's most awkward segment. First, Jane Lynch and "Saturday Night Live" comedian Kate McKinnon toasted the actress as a trailblazing performer. "Lily, thank you," McKinnon said, "You turned playing lovable oddballs into a viable career option." Longtime friend Reba McEntire described her generous, loyal pal, and Jane Fonda stirred in some feminist politics - loosely tied to "9 to 5," the film she and Tomlin made about working women. "Lily made people laugh so hard that they didn't even notice we were talking about flextime and day care and another really weird notion called equal pay," Fonda said. "Equal pay? They're still laughing about that one." If Tomlin's salute was quirky, then the celebration of Hanks's career was hokey Hollywood magic. David Letterman joked, Spielberg was heartfelt and Martin Short tried to sum up his longtime friend's acting range while also explaining his appeal. "There's something about Tom Hanks that feels like he's the very essence of America," Short said. And as if to prove it, Short sang a reworked version of "Yankee Doodle Dandy" (complete with the lyric, "Yankee Doodle went to Spielberg, riding on his Oscars"). Before the number was over, there were five military ensembles, including the U.S. Air Force Band's Ceremonial Brass and the U.S. Army Old Guard Fife and Drum Corps, filling the stage and aisles. A delighted Hanks pretended to conduct. 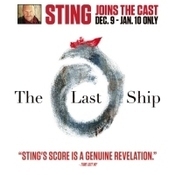 The night's grand finale was reserved for Sting, the multiple-Grammy-winning pop star and newly arrived Broadway composer. Longtime fan Meryl Streep, who appeared with the musician in the 1985 movie "Plenty," gave a formal introduction that was both intimate and encyclopedic. "Thank you for your restless heart, for ‘Roxanne' and ‘The Last Ship,' and everything from the 40 years in between," she said, pausing as if to hold back a smirk. "Every breath you take, every you move you make, we'll be watching you." Four musical numbers celebrated the breadth of his music. A sparkling Lady Gaga played piano on the uptempo "If I Ever Lose My Faith in You," and Esperanza Spalding and 2013 honoree Herbie Hancock turned in a jazzy duet of "Fragile." Bruce Springsteen contributed an emotional "I Hung My Head," a fitting response to Sting's performance of the Jersey rocker's 9/11 anthem "The Rising" when the Boss was an honoree. But the evening's showstopper was Bruno Mars leading a glorious rock-and-roll carnival of "So Lonely," "Roxanne" and "Message in a Bottle" that ended with Mars jamming with the cast of "The Last Ship" - who had made a mad dash to Washington after Sunday's matinee in New York to surprise the show's creator and composer. Night after night, as the lights go down in the Neil Simon Theatre and musicians on guitar and flute and fiddle begin to play, a multiple Grammy-winning international star settles into a seat in a back row and drinks in anew all the Broadway sights and sounds. It's the closest that a guy named Sting will ever get to the life of an average Manhattan commuter. "I watch it every day," says the 63-year-old singer-songwriter, still in possession of the sleek build of a rock sensation half his age. "I'm fascinated by the process and the actors making this story and the songs their own. I'm fascinated by the audience and how they react. I sit way in the back in the dark, sort of a phantom, and l leave before the lights go up."